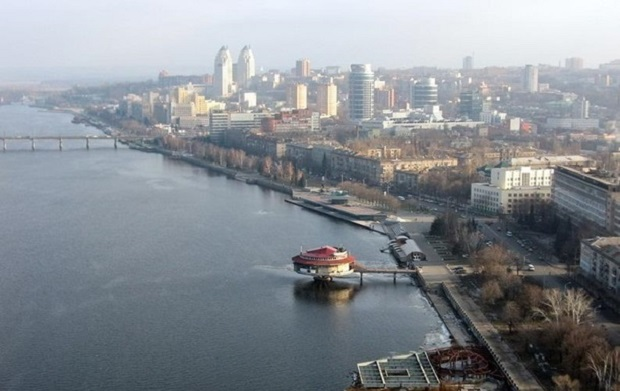 Ukraine's Verkhovna Rada has decided that the city of Dnipropetrovsk should be renamed Dnipro as part of the decommunization drive, according to an UNIAN correspondent. Resolution No. 3864 to rename the city was supported by 247 out of the 344 MPs registered in the session hall. The decision comes into force from the date of its adoption. Read alsoCities in occupied Donbas and Crimea lose their Soviet namesAn explanatory note to the resolution says that the city was named Dnipropetrovsk in 1926 as a compound word after the Dnipro River and after Bolshevik and Soviet Communist Party leader, head of the 1917 revolutionary movement and Chairman of the Central Executive Committee of the Ukrainian Soviet Republic Hryhoriy Petrovskiy (1978-1958). Petrovskiy later became one of the masterminds of the Holodomor artificial famine in Ukraine in 1932-1933. "The name carries symbols of the communist regime and, by law, it must be changed," the note says. Dnipropetrovsk's previous names were originally Ekaterinoslav (Katerynoslav in Ukrainian) in 1776–1782, re-established in 1783–1797, Novorossiysk in 1797–1802, Sicheslav in 1918 (proposed by the Central Council of Ukraine, but it was never officially fulfilled). Its other unofficial names were Krasnodneprovsk (in 1924), Dneproslav (during WWII occupation), and its current unofficial name is Dnepr (Dnipro in Ukrainian). The city, which was founded 240 years ago, was originally envisioned as the Russian Empire's third capital city, after Moscow and Saint Petersburg. The city is located 391 kilometers (243 mi) southeast of the Ukrainian capital of Kyiv on the Dnieper (Dnipro) River. Its population is about one million people now. Dnipropetrovsk is the city where the political career of former President Leonid Kuchma, ex-Prime Ministers Pavlo Lazarenko and Yulia Tymoshenko once began.